(Bloomberg) -- China Evergrande Group’s new ambition to take on Tesla Inc. and become the world’s biggest maker of electric cars might seem to be an unusual direction for a property developer to take. But it’s in keeping with forays billionaire founder Hui Ka Yan has made into businesses ranging from hospitals and theme parks to mineral water and soccer. At first glance, the moves seem haphazard and unconnected. However, closer examination shows they’re neatly aligned with President Xi Jinping’s policy priorities -- from making China a global tech leader to winning the World Cup. The efforts by Hui -- China’s second-richest person -- to have closer ties to the ruling Communist Party are paying off. He’s a member of the Political Consultative Committee, which helps advise the government on policy. In October, the official People’s Daily newspaper named him as one of the 100 most prominent private entrepreneurs who has made an extraordinary contribution to China’s development over the past 40 years. Representatives at Evergrande didn’t immediately respond to a request for comment. Here’s how Hui’s sprawling empire matches up with some of Xi’s pet policies. Context: China’s central and local governments have been offering subsidies for electric vehicles. While those are starting to be wound back, tech and autos are two key elements of Xi’s ambitious ‘Made in China 2025’ policy. 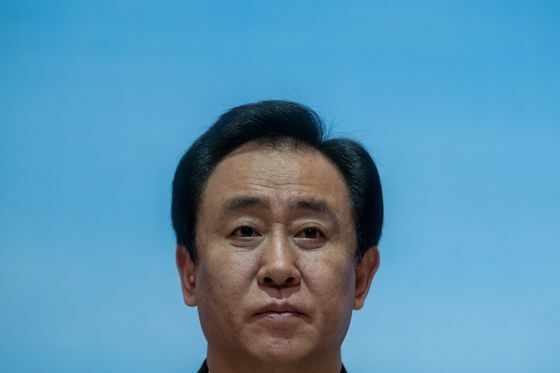 Action: Evergrande has been dabbling in electric vehicles for more than a year, but this week upped the ante by declaring an ambition to be the world’s largest manufacturer within three to five years. Units associated with its separately listed health division have spent more than $1.1 billion since January buying stakes in an array of EV-related companies including a maker of in-wheel motors, a battery manufacturer, and part of a Swedish firm focused on intelligent cars. Status: Is this anything more than a pipe dream? Evergrande hasn’t disclosed any details of the cars it aims to start making by June, or whether those vehicles would be for mass production or merely samples. It won’t only be taking on Tesla -- whose own travails have shown the obstacles of a start-up carmaker reaching mass production -- but the rest of the world’s major automakers, which are pouring billions of dollars into EV production and research. Context: ‘Made in China 2025’ is key to Xi’s ambition to move the nation away from being the world’s factory, to producing higher-value products and services. The plan focuses on high-tech areas including pharmaceuticals, cars, robotics and the aerospace industry. Action: Evergrande in August pledged to invest 100 billion yuan ($15 billion) over the next decade on everything from artificial intelligence to new energy. It will also establish three research centers with the Chinese Academy of Sciences, to attract world-class scientists. Context: Xi has vowed to eliminate rural poverty by 2020 -- one of his three “critical battles” (the others are mitigating financial risk and curbing pollution). Action: In December 2015, Evergrande announced it would partner with Bijie, a city in what was then China’s poorest province, to help lift 1 million people out of poverty by next year. He has also stepped up his philanthropic objectives, last year donating 100 million yuan to his alma mater Wuhan University of Science & Technology to help it become a world-class university. Status: Hui keeps on giving. Evergrande has more than 2,100 people working on poverty relief efforts in Bijie, according to a statement on its website. It’s provided 11 billion yuan in assistance, helping to pull 521,300 people out of poverty. Forbes ranked him as China’s top philanthropist in 2018. Context: During a trip to Argentina in 2014, Xi, a self-professed soccer fanatic, said it was his wish that China would one day win the World Cup. That’s a big ask for a team currently ranked 72nd in the world, and whose sole appearance at the World Cup finals in 2002 ended in a humiliating exit after losing all three games and failing to score a goal. Action: Hui has turned Guangzhou Evergrande into China’s glamour club since buying it in 2010, hiring World Cup winning coach Marcello Lippi and claiming seven straight Super League titles. Guangzhou became the first Chinese team to win the Asian Champions League, the local equivalent of Europe’s most prestigious club competition. Lippi became the head coach of China’s national team in 2016. Hui also opened Evergrande Football School, where 2,800 children strive to fulfill Xi’s ambition of holding aloft the World Cup. Status: Still onside. Underscoring the close links between Guangzhou Evergrande and the national team, 2006 World Cup winner Fabio Cannavaro is currently head coach of both. Context: Evergrande Health Industry Group Ltd., the Hong Kong-listed health division, says it’s an “active practitioner” of the ‘Healthy China’ national strategy. Action: The firm has built nine ‘Health Valleys’ -- upmarket aged care communities where residents can access hospitals, education services and health insurance. Last year, it opened Boao Evergrande International Hospital, built with the Harvard Medical School-affiliated Brigham and Women’s Hospital. Evergrande has also developed theme parks -- it has 10 Chinese fairy-tale inspired ‘Evergrande Fairyland’ parks, and operates the ‘Ocean Flower Island’ on the holiday resort of Hainan. Status: Full-steam ahead. Evergrande plans to establish over 100 more ‘Health Valleys’ in the next five years, and five more domestic ‘Children’s Fancy World’ parks, before taking them global. The wild expansion has come at a price: Evergrande’s debt load exceeds $100 billion, with a large chunk of that due next year. And Hui has shown before he’s willing to cut his losses if things don’t work out. In 2016, the company offloaded an unprofitable mineral water business, a oil and grain venture and its dairy unit for a combined 2.7 billion yuan to focus on its core real estate operations.